I’ve had a lot on my mind recently. Many of those thoughts I’ve wanted to pen out and post. Unfortunately, life has been a little crazy and time to sit down has become less and less abundant. All of my attention has been poured into the doctorate program and recovering from 12 hour learning days. When I originally got into the program, I felt that by not working and being a full time student that I would be able to maintain my running program and continue to improve. There have been milestones I wanted to reach and goals that I became engrossed with for a few years now. I was finally hoping that this year was my year to break into those goals. A string of disappointing performances (and even a couple unfinished performances) has proven me wrong. School is tougher than I anticipated. It eats up way more time than I thought it would and wears me down more than training ever has. And it certainly is not conducive to reaching the goals I set forth. Don’t get me wrong, I absolutely appreciate the opportunity to learn and have worked hard to succeed there. I love learning and the similar feeling that it shares with training and racing. But I’m realizing my limits. Recently, I had a run up on the beautiful trails of the Bear 100 course. I was amazed at the beauty of the wilderness around me and a feeling of excitement for race day built with each mile. Around the Tony Grove area, I began to notice that the trees and grasses were showing signs of summers fade. Colors that represent changing of the seasons were starting to turn like the blooming flowers and shades of spring that I could’ve sworn were showing just last week. I noticed a single red leaf among the many shades of green. He was solid and bold in color, moving forward with the inevitable changing of seasons. The tree will lose his bud, but only for a season. All things will turn and eventually this leaf will grow back. Seasons are a wonderful opportunity for growth and expansion. All things come and go but it’s their fall, winter and spring preparations that allow for a strong summer growth. 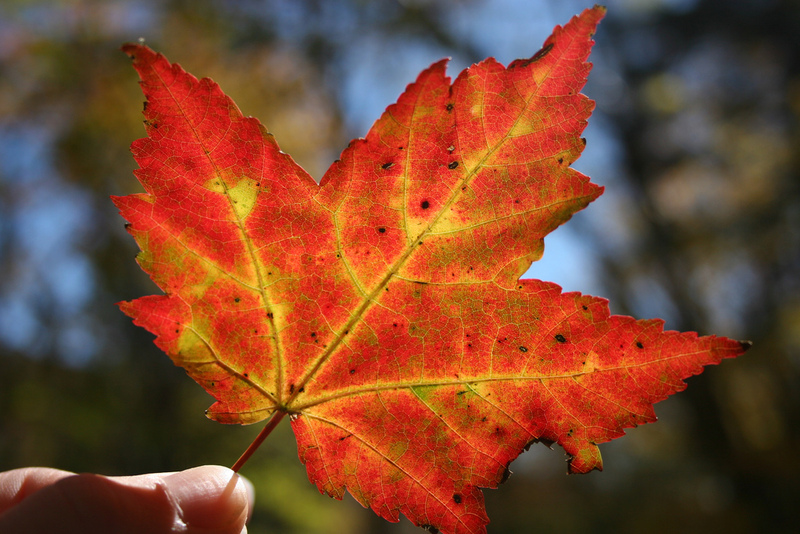 This leaf inspired me to go forth in my season. Now is not the time to focus on running. Rather, it’s a time to focus on the future. Much like a fall and winter harvest, it’s my time to prepare for the next season of growth and exuberance. Competitively racing cannot be my focus. But as I focus on school, I can balance creating a stronger base with added strength training and shorter distance speed to work into my endurance when the time is appropriate. Setting up the opportunity for the best success in the next “season” of my ultra running career. That’s not to say that I won’t be racing and training for the next two and half years, but it will be with a different reason and focus and definitely less frequently. School is the priority and setting up my future will be the focus. Inspired by the many bold trees that didn’t hesitate to move forward with the seasons on my last run, I too must move forward to prepare for the changes that are taking place in life. It’s not easy and almost seems like I’m stepping backwards, but I boldly face the newest season knowing that my summer will come around again and I’ll be stronger and better for having properly prepared myself and utilized the purpose of each changing season in my life. Very nice post, impressive. its quite different from other posts. Thanks for sharing.